Last year I managed to read fewer books than the year before, due of course to the Four Horsemen of the Bookopalypse (Twitter, Facebook, blogs, and downloadable TV). Some were great, some not so much. 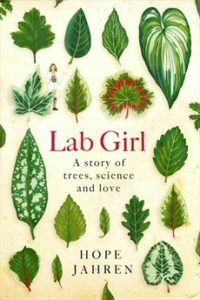 Of the science books I finished, Hope Jahren’s Lab Girl stood out. Stunning writing about plant biology interspersed with memoirs of a career in science. A book I’d like to give to all the young women I know starting on a research career; both inspiring and sobering. Resurrection Science by M. R. O’Connor is an up-to-date overview of current conservation debates: Why should we save endangered species? Are resurrected species the same or different? To what extent are humans managing nature and steering evolution? George Monbiot’s Feral, in the same vein, was an interesting meditation on rewilding and recreating vanished ecosystems, but too concerned with creating wilderness in that least wild of areas, Wales. Melissa Milgrom’s Still Life: Adventures in Taxidermy, a cultural study of British and US taxidermy, the dioramas at the American Museum of Natural History, Victorian fads, kitsch, and Damien Hirst, had, unforgivably, no photos. 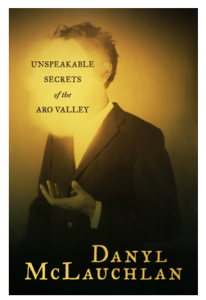 Danyl McLauchlan has created an entire genre of Dan-Brown-esque Wellington Absurdist Noir in just two books: Unspeakable Secrets of the Aro Valley and Mysterious Mysteries of ditto: great rollicking reads, deflating themselves at regular intervals, although I enjoyed the first more. They’re especially poignant for anyone with the misfortune to have lived in damp depressing Devon St, as I once did. I once even excavated an Aro Valley backyard in much the same way as black-robed cultists do in Unspeakable Secrets, but found only bits of broken bottle. Steve Braunias’s How to Watch a Bird captures the pull of birdwatching as an outsider immersing himself in that world for a year. It includes a great interview with grand old man of New Zealand ornithology Graham Turbott, and a cameo by Major Wilson of Bulls (whose egg collection I recently inventoried). The other natural history book I adored was Dave Hansford’s Protecting Paradise, an important overview of the 1080 debate that doesn’t satisfy itself with just stating the science but delves into the psyche of hard line 1080-haters and examines their motivations. Very relevant in this era of alternative facts. This year I took part in the 100 Days project, trying to draw something every one of those days. 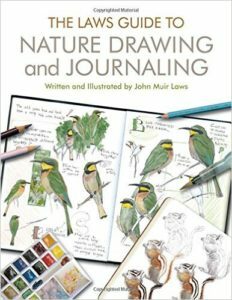 My guide for this was the inspirational Laws Guide to Nature Drawing and Journaling by John Muir Laws, a simply superb tutorial book. Also a fine teacher is Lynda Barry, in whose amazing Syllabus we see a class of non-drawers learning to write, observe, and depict themselves and their lives through exercises, movies, diaries, and non-destructive feedback. It’s epitomised by Barry’s rule about candy in the classroom: the students can have as much free candy as they want, but they have it draw it first. My favourite book of 2016 was by my friend Ashleigh Young. 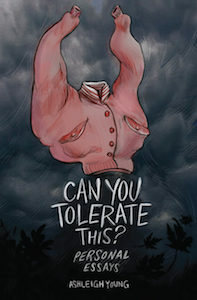 In Can You Tolerate This? she created a Wunderkammer of essays, all connected by invisible threads, all in her distinctive thoughtful voice. Whether it’s growing up in Te Kuiti or skeletal deformity it’s a pleasure to be in her company and see the world with fresh eyes. Recommended. The disappointments of the year included Simon Rich’s Spoiled Brats (mostly forgettable New Yorkerish amusements), Bruce Sterling’s Visionary in Residence (one of my favourite SF writers but not a good collection), and re-reading Julian Barnes’s A History of the World in 10½ Chapters, not as impressive as recall it being 20 years ago. So in 2016 I managed only 19 books, (out of interest, six by women). That compares to 28 the year before, just 18 in 2014, and 30 in 2013. The last time I made a serious effort to read more, blogging each month, was in 2012 when I finished 73 books (discussed in crushing detail in the rest of the category Bookishness). I think making reading lists is how I fight to delay Bücherdämmerung. This entry was posted in Bookishness on 8 Feb 2017 by Mike.